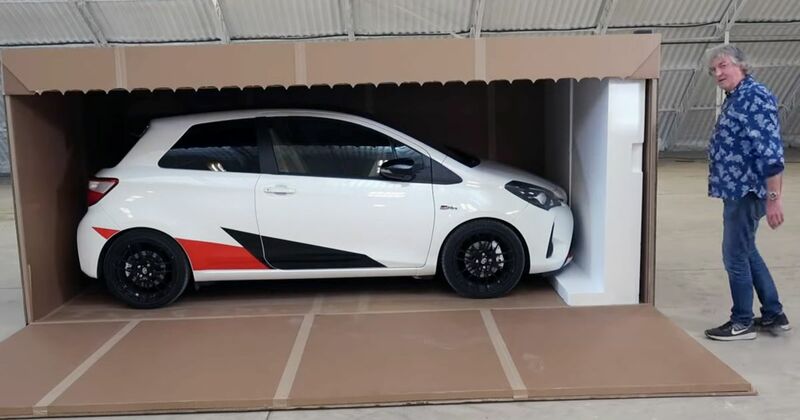 James May has got hold of a Toyota Yaris GRMN, but it seems to still be in a cardboard box. Why not kick back and unbox it with him? Unboxings are a uniquely millennial craze. If you’d have asked someone in the 1990s or early 2000s whether they wanted to watch you take a new product out of a box, you’d earn some rude words and possibly a dead leg. These days the act of unboxing is pretty common on video-sharing platforms. So common, in fact, that people are twisting the concept to keep it fresh. Here, James May has uploaded a gigantic unboxing to his ‘unemployment tube’ YouTube channel. 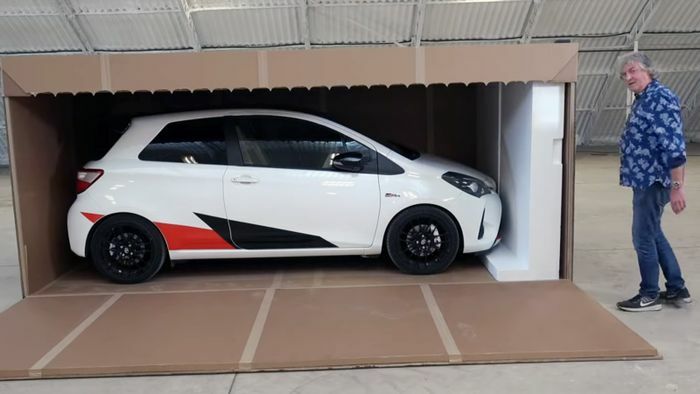 It’s an actual Toyota Yaris GRMN. The supercharged hot hatch and modern classic in its own time is packaged entirely within a vast cardboard box. It has a base, a roof, four walls and a proper fastening strip. Whoever built the box deserves a hearty pat on the back, frankly. Join May as he kills a few minutes with just the boxed GRMN and a phone on a tripod for company. The car itself may not be the newest thing any more, but if nothing else it’s good to see May being May.